Are You Kidding Me?! : The Write Path is Here! A few months ago, I wrote a letter to my younger self. So did many other bloggers. Remember that? "How I Found the Write Path"? Well, the book is here. A compilation of letters from over 60 fabulous writers collected and formatted into an eBook by the lovely Carrie Butler and PK Hrezo. It's out and it's available for purchase. And by that I mean you can spend your time going to any one of these sites and downloading all these fantastic letters full of advice for FREE. The letters range from thoughtful to humorous (and everything in between) but all speak to the writer's younger, less experienced, self. The anthology gives advice while entertaining readers with the many different voices and takes on the prompt. A brilliant idea from PK and Carrie. A huge thank you to both of these amazing authors for taking the time to compile these letters. 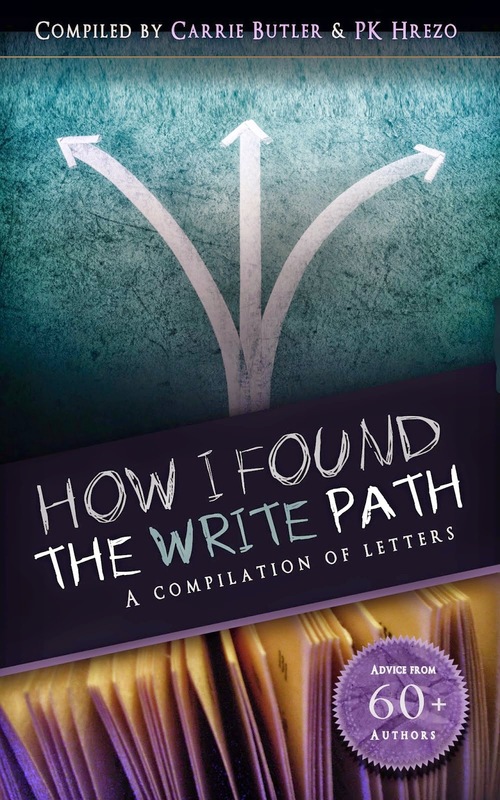 How I Found the Write Path is a must-read for all types of writers at all stages in their writing careers.